The Rebel Sweetheart. : Spotlight | To PH With Love. Unlike other couples, my husband and I really don't celebrate Valentine's Day. Aside from the fact that we've been physically apart for the past six Valentine's (this year will be the seventh), we just don't like the thought of 'joining the Valentine bandwagon' - you know, flowers and chocolates and all that mushy stuff. Surprisingly, however, this year is an exception. My husband sent an early present that's actually within the norm of Valentine's Day gifts! (Three years ago I got a cookware set for Valentines, how cool is that?!) But they're not for me, though. They're for Yue, which made this present extra special. 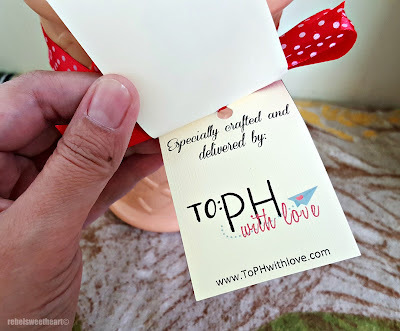 Apparently, the husband tapped the services of To:PH With Love, a newly-established company that aims to help OFWs (Overseas Filipino Workers) around the world to send gifts to their families here in the Philippines. 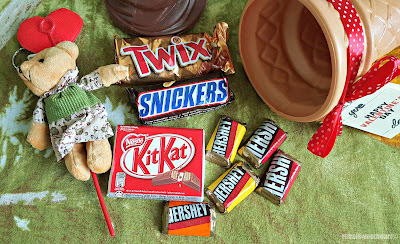 Gifts can be in the form of flowers, chocolates, stuffed animals, even surprise parties for your loved ones. Made possible by To:PH with Love. Pre-packaged gift sets are also available, such as the one the husband sent. This gift set in particular contains an assortment of chocolates and a teddy bear keyring housed in a cute ice cream cone. 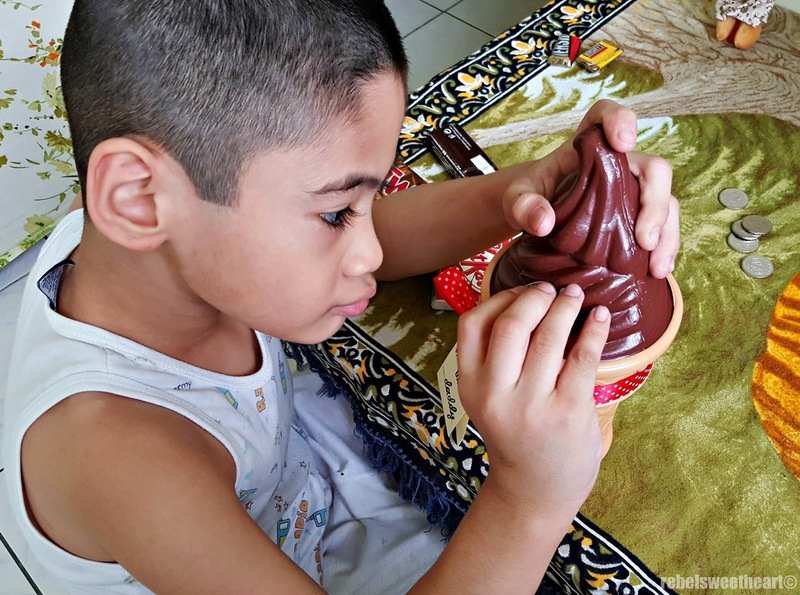 Yue was thrilled to discover that the ice cream cone is actually a coin bank. He asked my grandmother for coins and deposited them inside the cone right away. And thank you, To PH With Love! Still on the lookout for Valentine's gifts? Let To PH With Love help you in selecting the perfect gift for your loved ones! 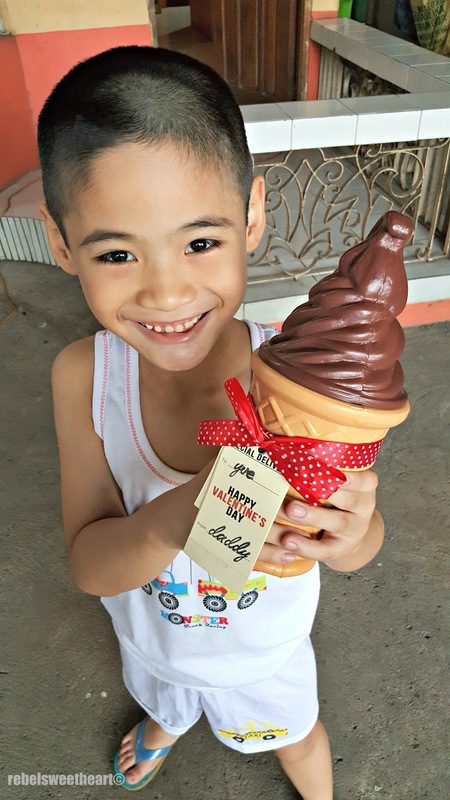 Wow that was an early Valentine's Gift, I'm glad that your son happy. Aww! That's too cute! Kids would love this, without a doubt! Oh I want that.It is really cute.That is such a nifty gift idea.